Atherosclerotic cardiovascular disease is an insidious condition that develops over an extended period of time. By the time the disease is apparent, the arterial wall has already undergone a substantial amount of remodeling. Current diagnostic tools are based on risk factor profiling, biomarker measurements, and lesion detection. Although relatively effective in large cohorts of subjects, risk factors and biomarkers are poor predictors of future risk in individual patients, because of the high occurrence of such factors. Conventional imaging modalities can detect only flow-limiting lesions. By the time advanced disease is diagnosed, mechanical and pharmacological interventions have only modest impact on disease progression. There is clearly a need to devise better imaging tools to measure plaque burden and disease activities within the arterial wall, to diagnose this disease at an earlier stage and to predict the short-term risks of developing complications. Given that molecular changes at a cellular level precede gross anatomic changes in the affected organ, application of techniques for detection of molecular changes in the arterial wall in living subjects might be feasible. 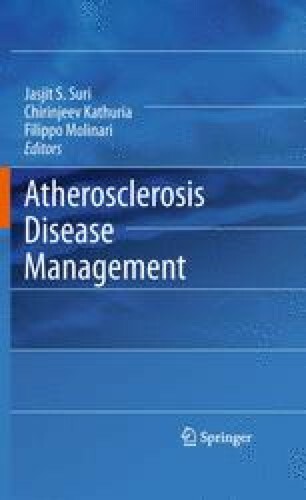 Molecular imaging has the potential to (1) screen for early stages of atherosclerosis at which interventions are most effective, (2) follow the course of the disease and aid in the titration of therapy, and (3) detect the presence of vulnerable plaque that requires aggressive intervention. This review article, an overview of the current state of the art of molecular imaging, covers essential components that are vital to the success of the imaging strategy and highlights the potential challenges intrinsic to each component.